The People We Love To Hate: Lil' Kim and Martha Stewart have something in common. Lil' Kim and Martha Stewart have something in common. 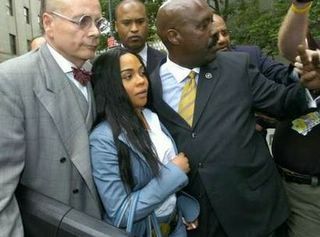 Lil' Kim is going to jail for one year for lying to a jury. Her plastic surgeon is pissed. How is she going to get Botox in Jail?